There is one thing that Tomar doesn’t lack and that is Coffee Shops. 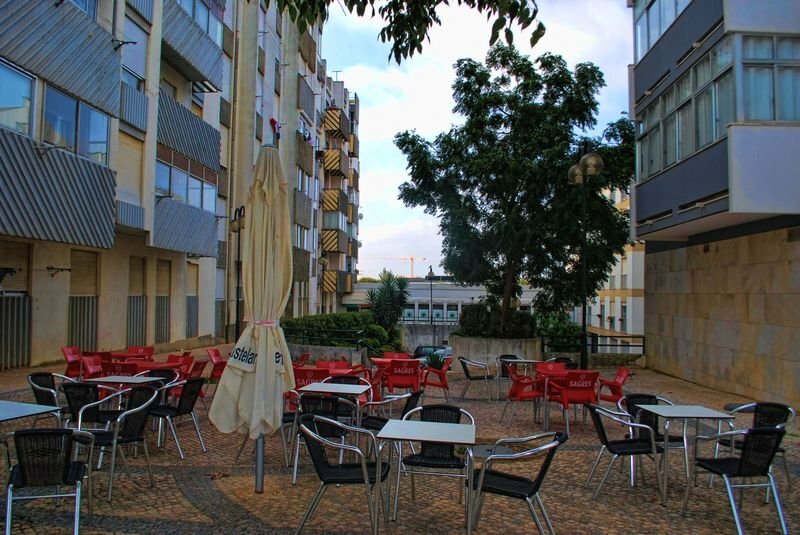 Everywhere you go, be it in the central areas or in the outskirts of the city, you are bound to always find Cafes nearby. 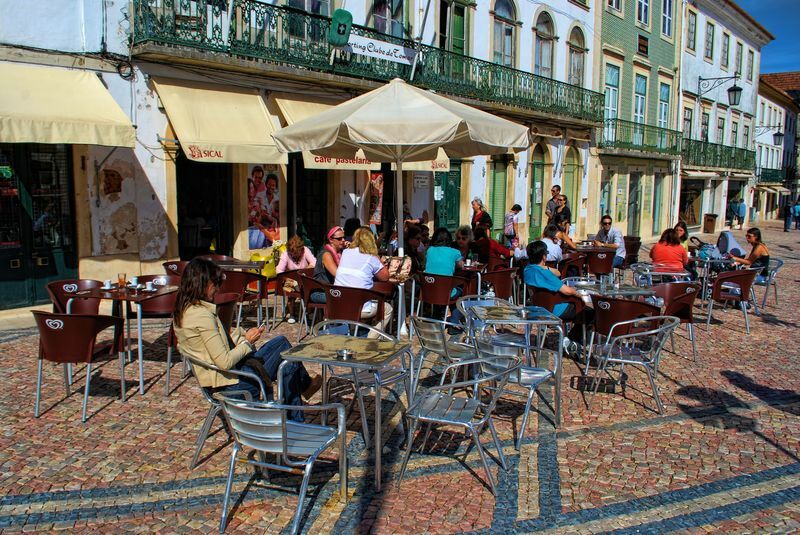 Coffee Shops are part of the Portuguese culture as it is there that people get together to talk, make friends and of course drink a coffee or “bica”. Many people even prefer to go to a coffee shop to write something. rather than going to a library. 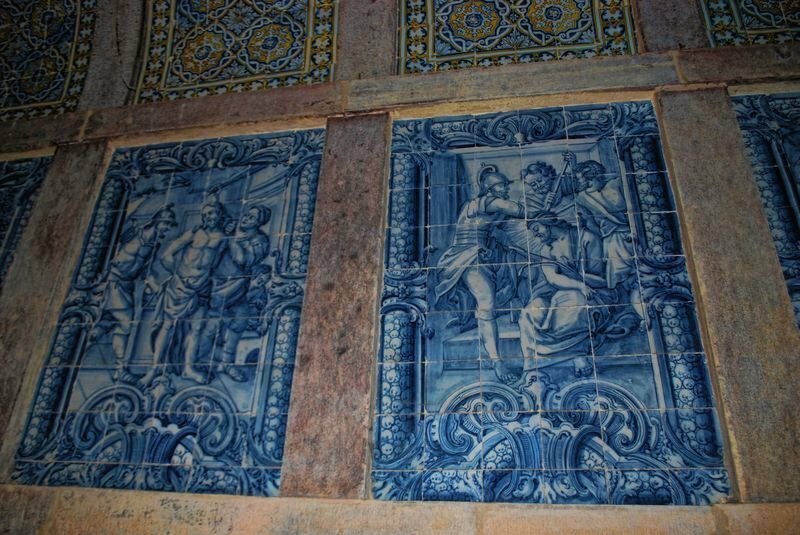 These photos below were shot in different areas of Tomar like Rua Coronel Garcês Teixeira, Praça da República and Rua dos Arcos. 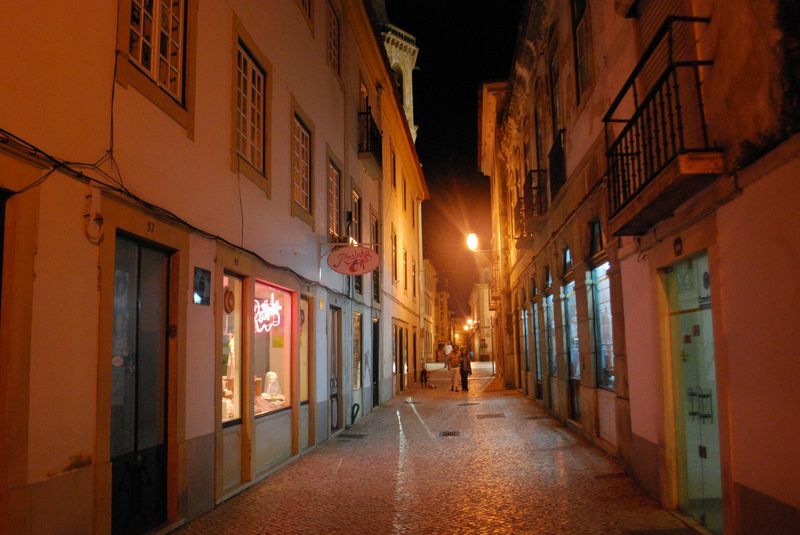 This is an old street of Tomar at night, called Rua Silva Magalhães. 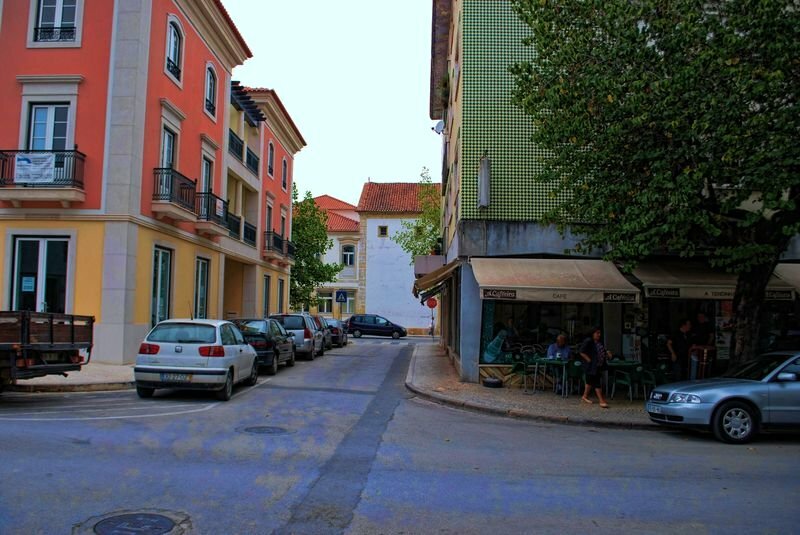 This street took the name of António Silva Magalhães, known as the photographer of Tomar, who lived in the city at the end of the 19th century and early 20th century. Most old photos of Tomar were shot by him and later by his son Mário Nery de Magalhães. His first studio called “Typographia Photographia” was at the end of this street and opened its doors in 1862. 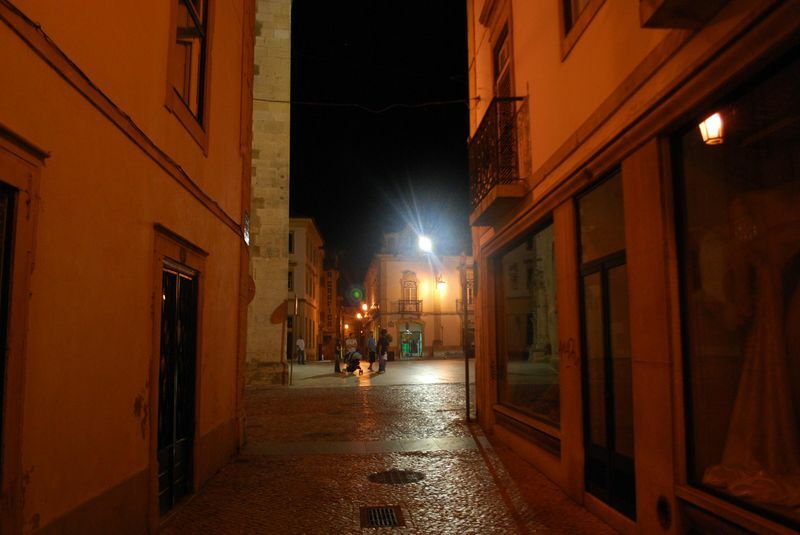 This is the beginning of Rua Silva Magalhães in Tomar, on the side of Praça da República. 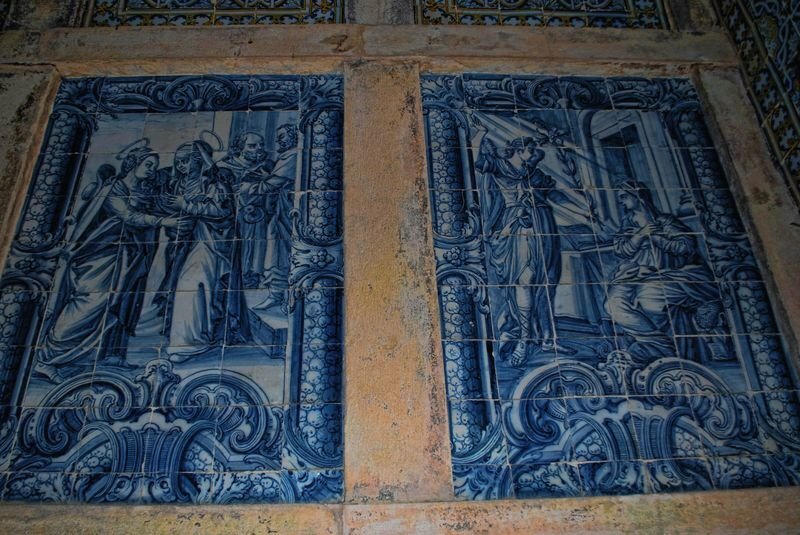 The Portuguese azulejos which are ceramic artistic tiles, are famous worldwide, and the tradition started a time long ago. 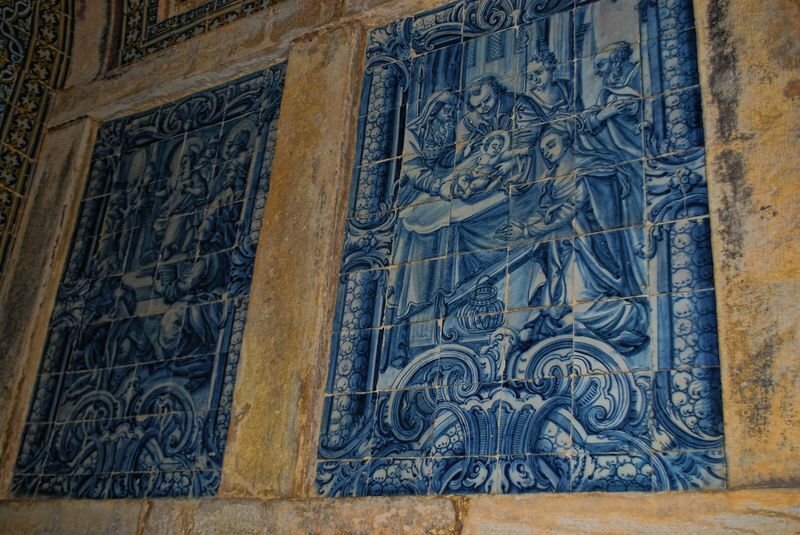 That’s why when you visit the Convent of Christ in the City of Tomar you find this kind of tile workmanship everywhere, just like these tile paintings, which seem to be from the 16th century and are essentially based on biblical scenes. 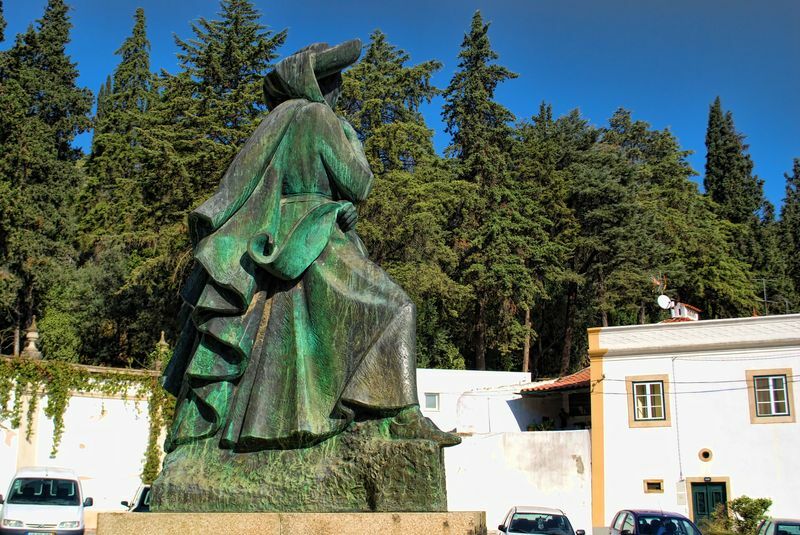 Another set of the statue of Henry the Navigator (Infante D. Henrique) in front of the gates of the Seven Hills Forest. 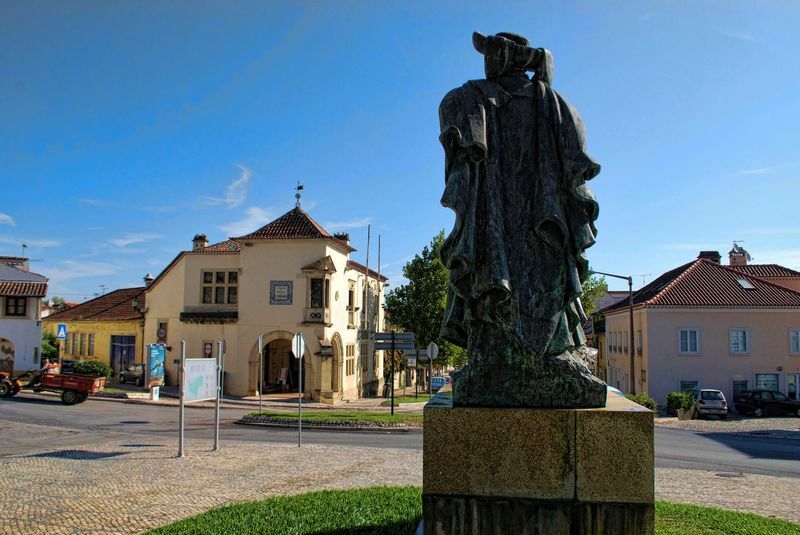 Tomar reached an high level of development and importance when Henry Navigator lived in the city in the 15th century. 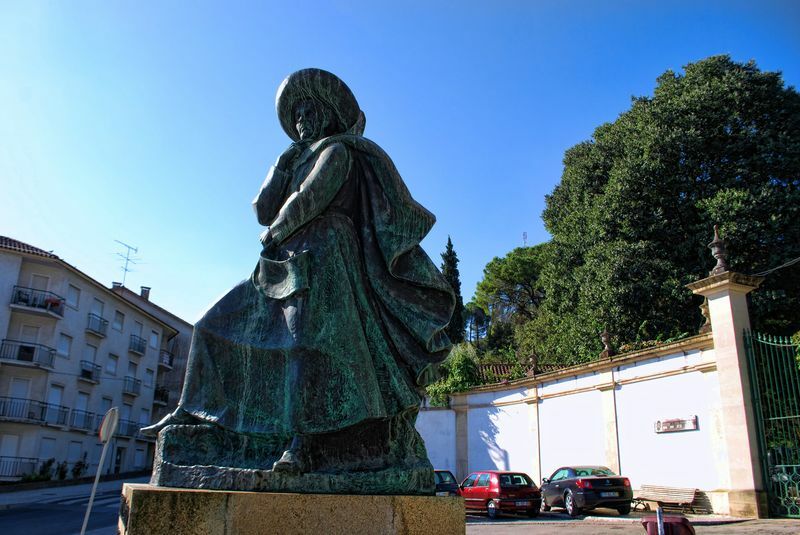 It was in Tomar that he planned the Portuguese maritime discoveries and the town was considered the centre of Portugal as people travelling to Lisbon, Coimbra, Santarém and even Porto, usually had to go through Tomar. 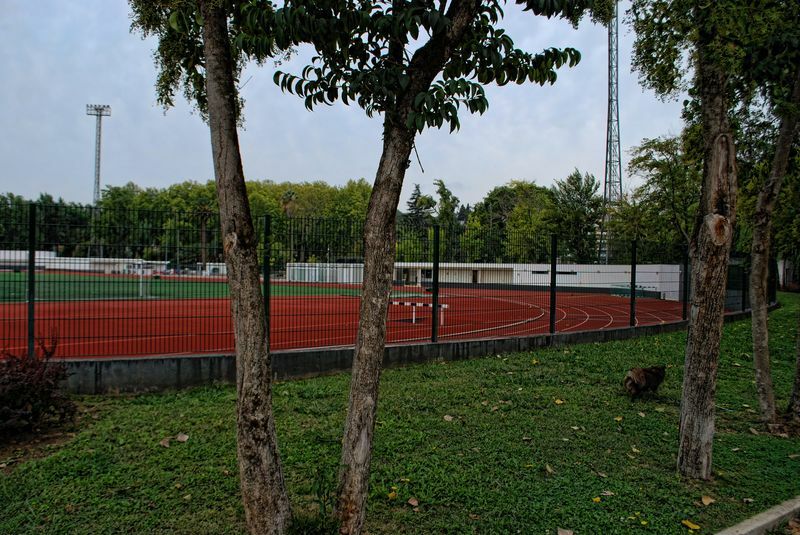 This used to be the small stadium of Tomar. 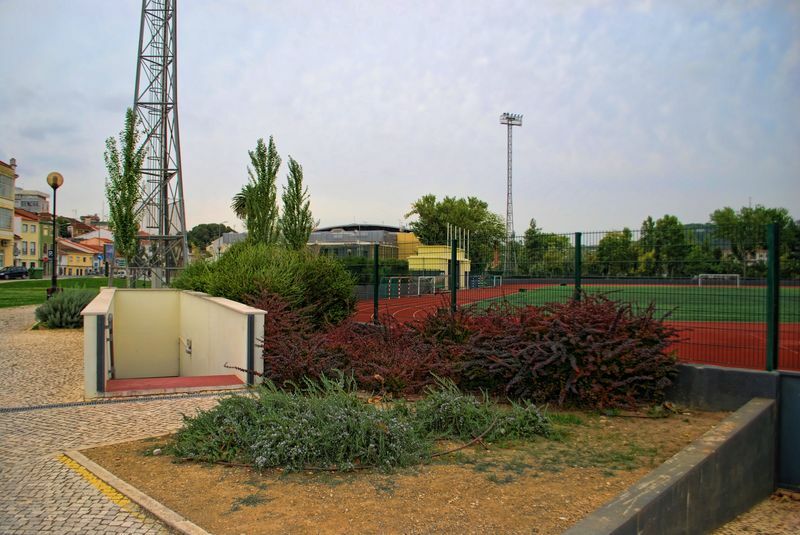 It was here that the local football club, União de Tomar used to play top teams like Benfica, Porto and Sporting of the first division of the Portuguese football championship. In time things changed dramatically. 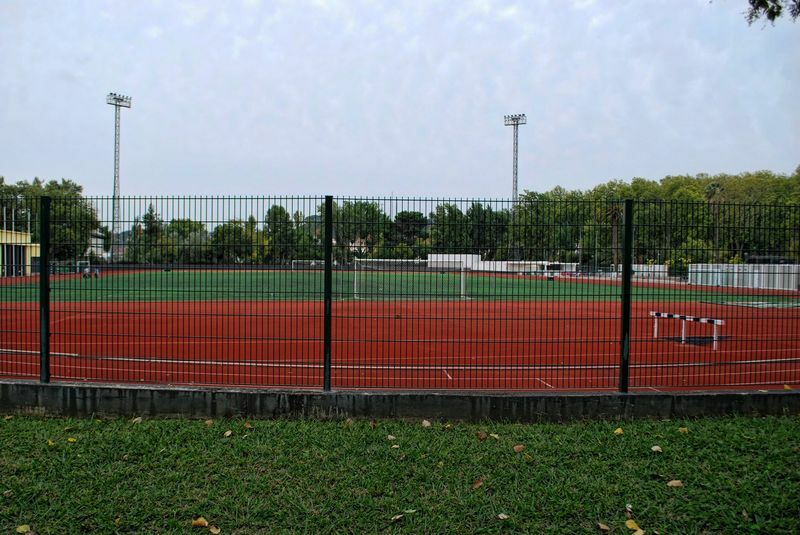 União de Tomar is now playing soccer in the lower divisions and the stadium became just a football and athletics track at Mouchão Park. I believe that photos of skies are beautiful, charming and sometimes even mysterious. Skies are something that many people are fascinated with and in this occasion I was interested in the skies of Tomar. 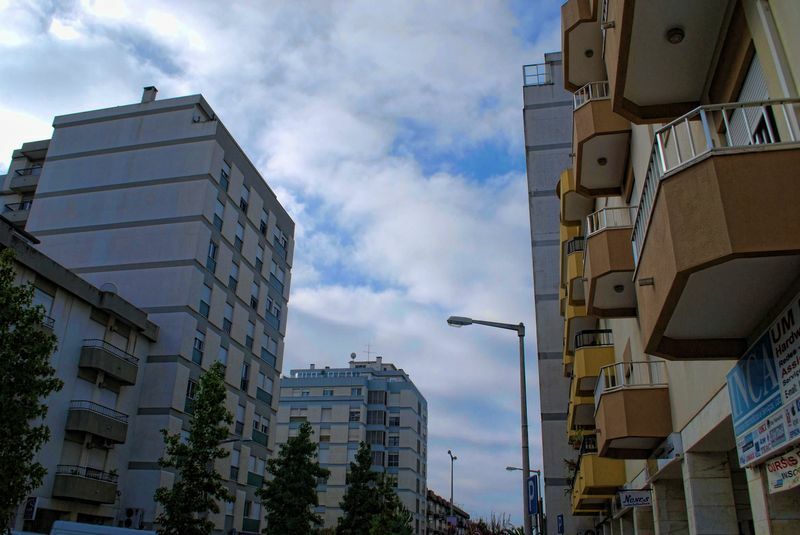 So I shot these pictures in a more modern area of the city. 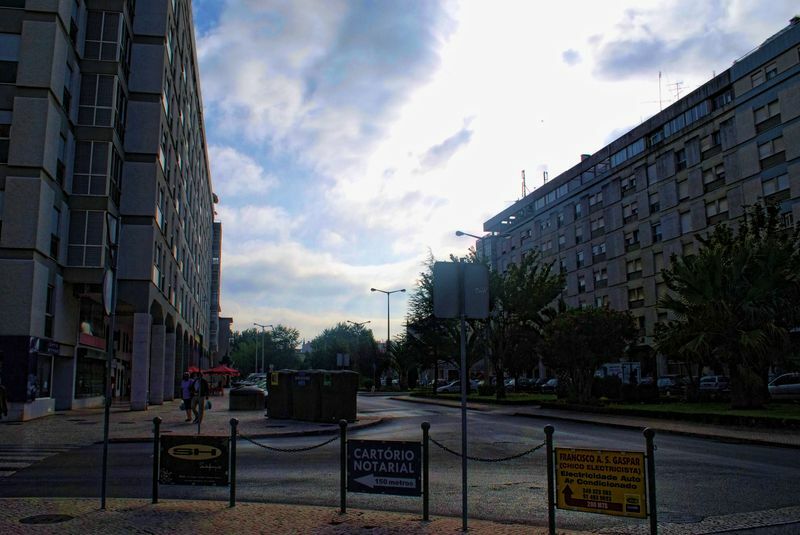 These photos were taken at Alameda Primeiro de Março and Rua Amorim Rosa. 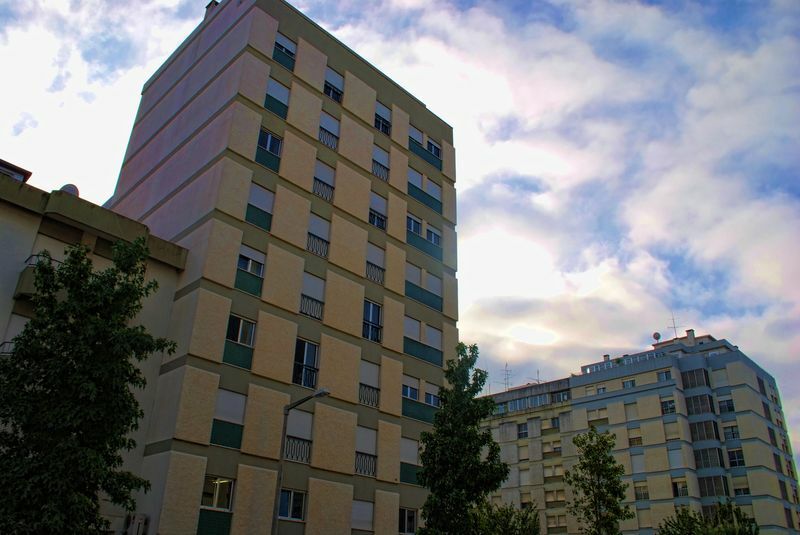 Those blocks of apartments aren’t exactly skyscrapers but they are among some of the tallest buildings in town. Another set of indoor photos of shops in Tomar. 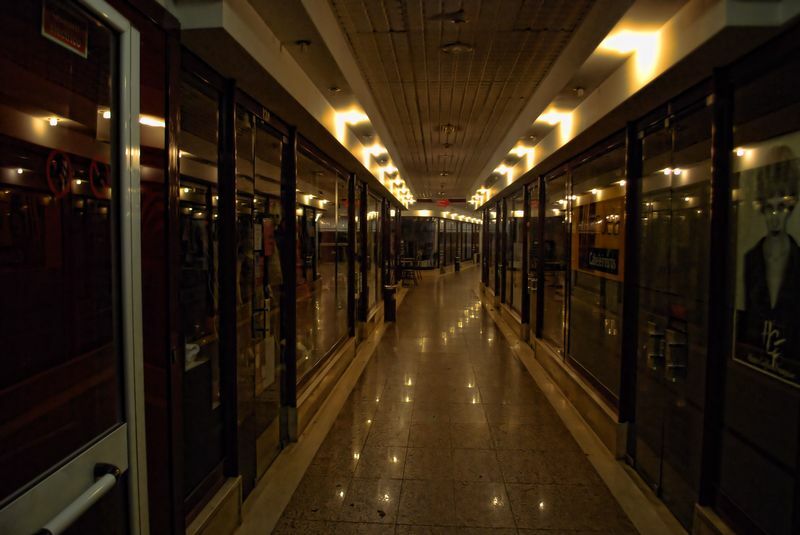 The first shot was taken at night and is a shopping gallery located at Avenida Cândido Madureira. 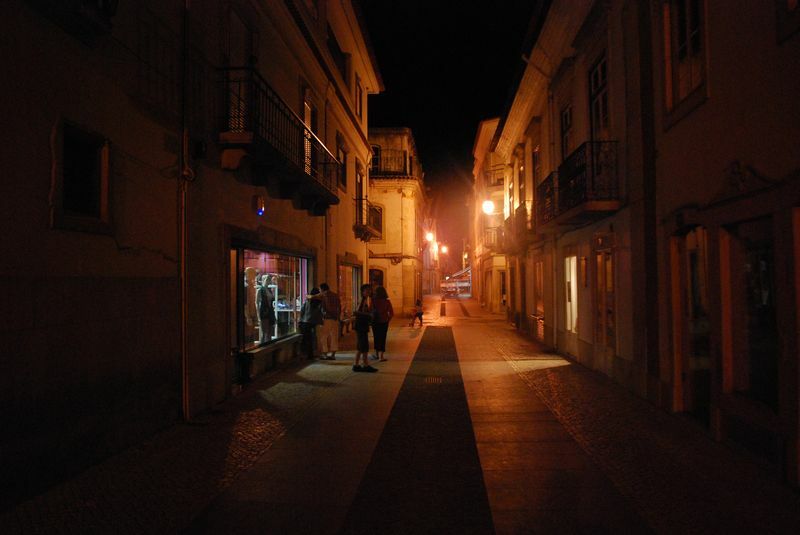 The photo in the middle is a gift shop at Rua Infantaria Quinze and it’s specifically related to all things about Tomar. 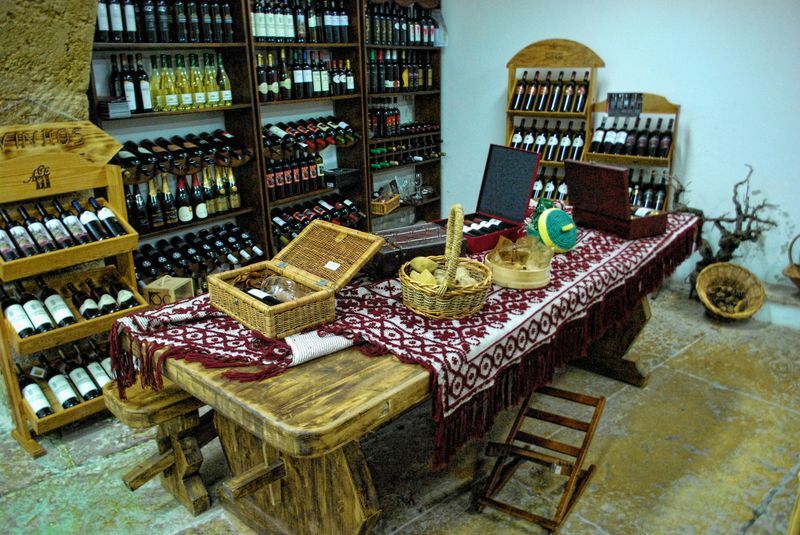 It sells souvenirs connected to the history of the city and it even sells wine produced in the region. 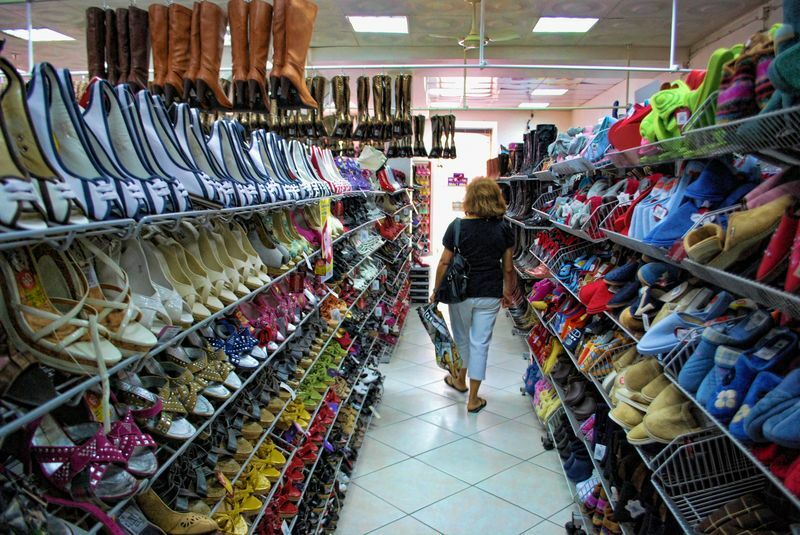 The last photo is just a shoe shop indoors located at Avenida Nuno Álvares Pereira. 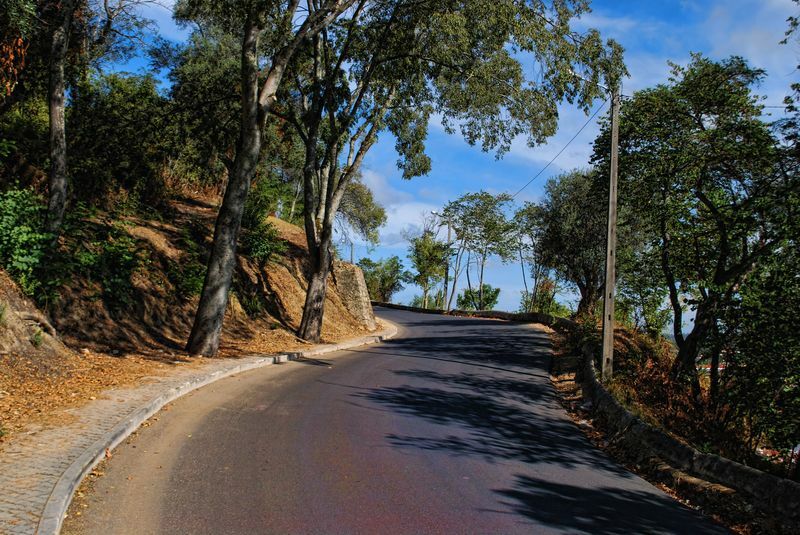 This is another set of photos of the roads inside Seven Hills National Forest (Mata Nacional dos Sete Montes) in the City of Tomar. 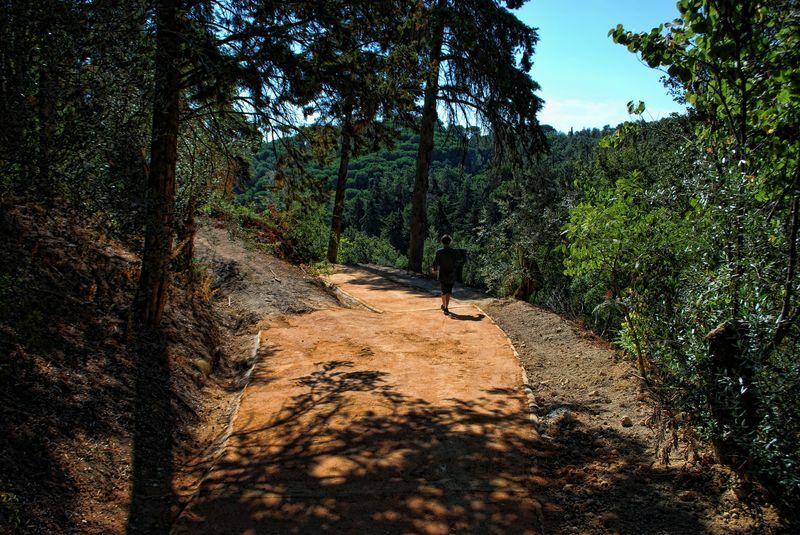 This is a forest that used to belong to the Order of Christ, but there was a time, for about a century it belonged to a family called Costa Cabral who also owned the Convent of Christ. 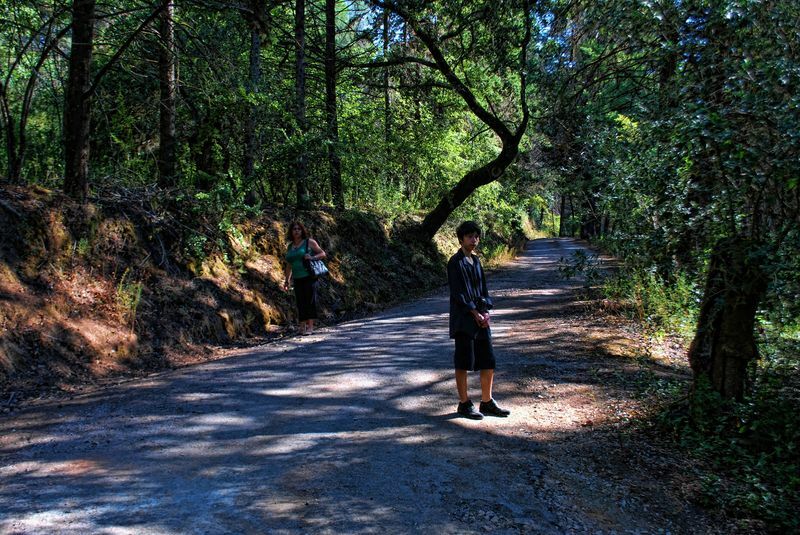 On this occasion I focused my attention to people, which in this case is my family. Along the way we stopped here and there and as usual I was always pressing the shutter button of my camera. 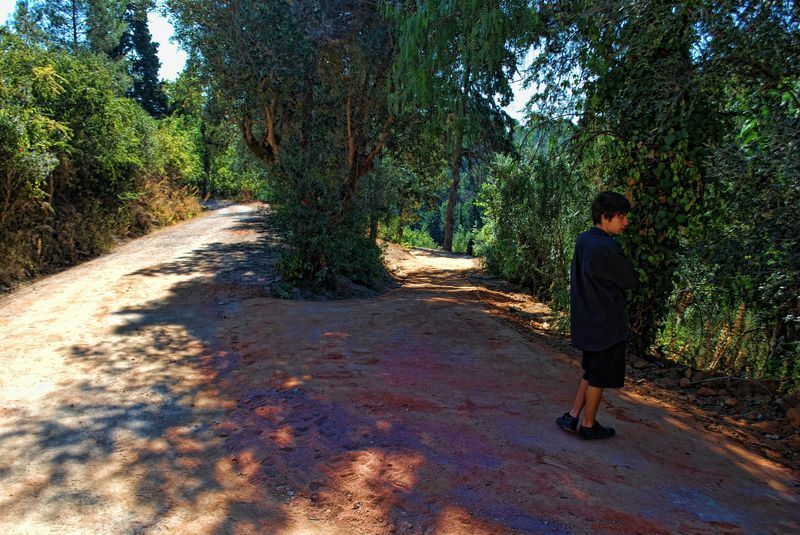 This is a bifurcation road at Mata Nacional dos Sete Montes in Tomar. 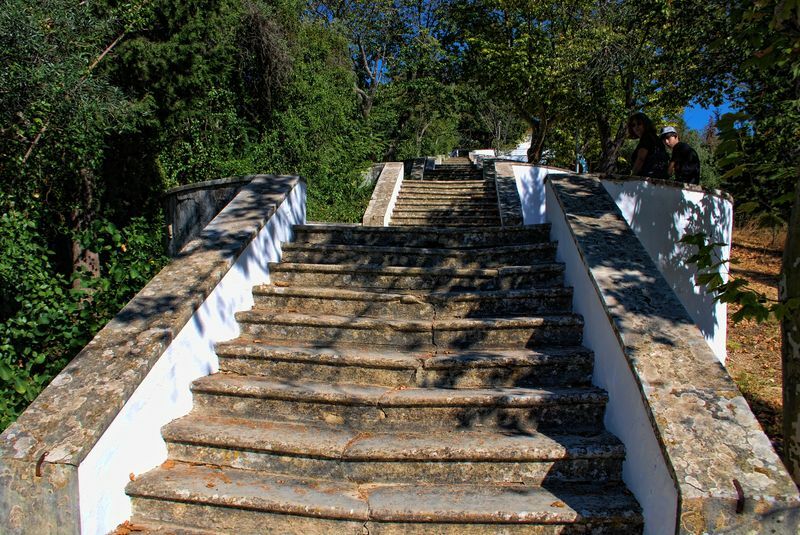 In the last set of photos about the Chapel of Nossa Senhora da Piedade, I published pictures of Capelinha do Bom Jesus (Little Chapel of Good Jesus), which is possibly in the middle of the staircase of 286 steps, that leads to the other big chapel. 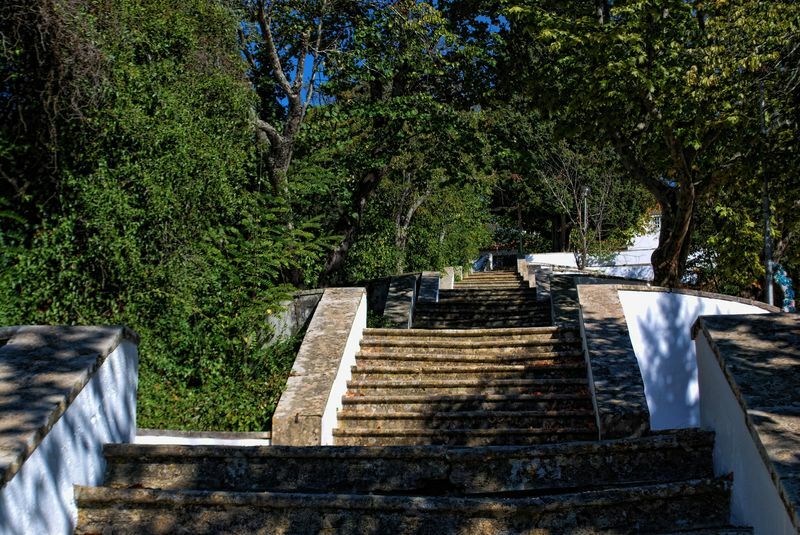 So after stopping in the middle we continued our ascent and in this collection we can already see Senhora da Piedade Chapel on top of the hill. We were almost there. 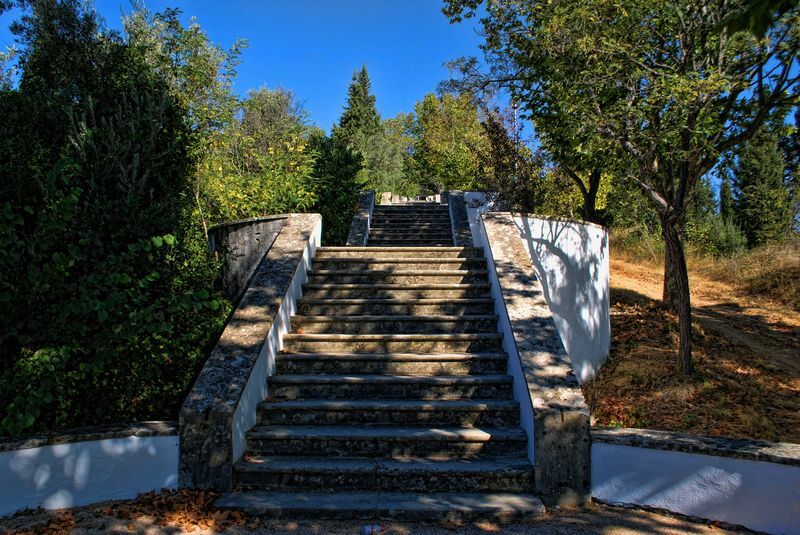 As a follow up of my last post about the Chapel of Senhora da Conceição in Tomar, I now include a set of photos of the road that leads to chapel and for that matter, to the Castle of Tomar and the Convent of Christ. 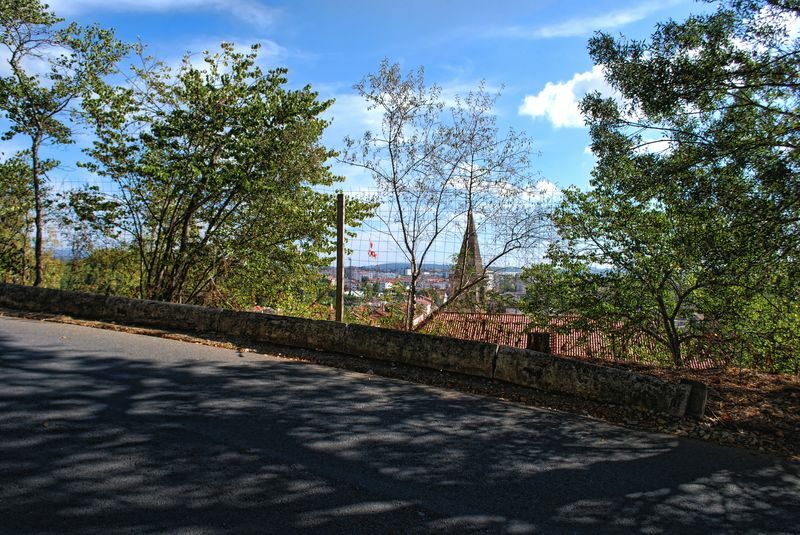 Most people drive there but it’s not that hard to walk to the chapel as it’s not far from the centre of the city. 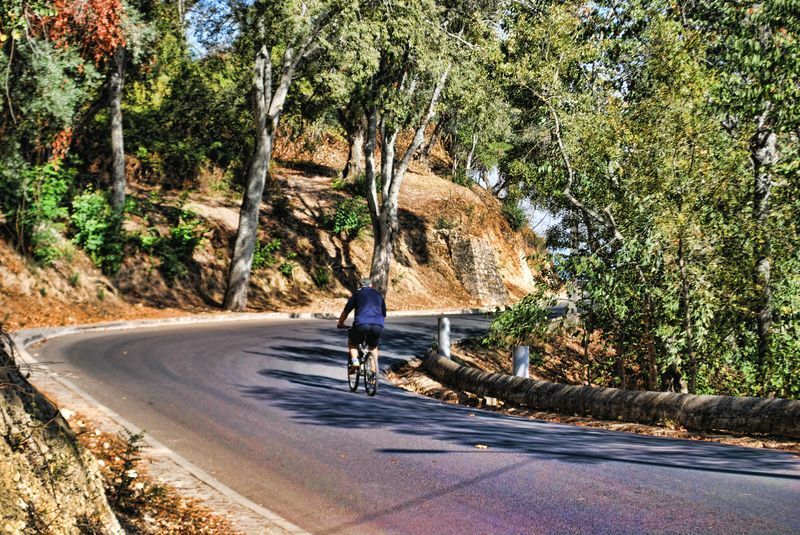 It’s good exercise, it’s a lot of fun and if you have a camera with you, you can take wonderful shots along the way.